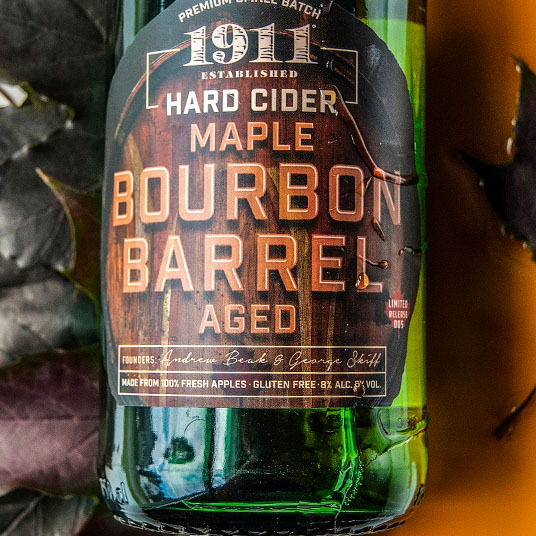 Maple Bourbon Barrel Aged Hard Cider is aged in bourbon barrels which previously held maple syrup. Over the months, the cider became infused with the rich flavors of maple bourbon goodness of the barrels and took on an amber appearance. 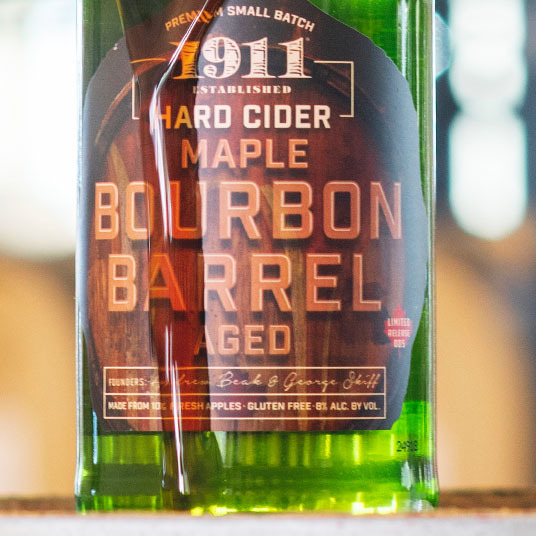 Sweet and refreshing up front, this cider ends with a lingering and smooth candied bourbon finish.